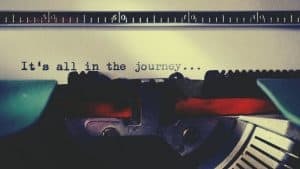 While only working with event organizers, planners and other event related companies for as less 2 years, I can definitely say I have learned a lot. I now fully understand that organizing an events is nothing less than a stressful process. 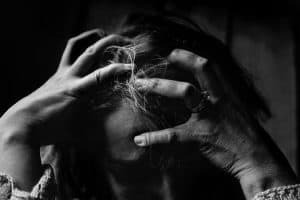 Even just a small part of the event service can lead to lots of stress and Headaches. And let’s be honest, in that process changing and developing an new way of check-in services isn’t the highest priority. Probably not even close, and why should it? Your current system probably functions just the way you like and designed it and it works right? So why change the current perfect system? In most cases, where it comes to the badge system, the answer is very simple. First of all, current systems aren’t flawless, not so very perfect at it seems and often more time consuming than you realize. Only when you really think about it you can see the problems. Probably you are so used to the flaws that you don’t even see them anymore. Second, and sorry for my honesty, most event badges are not very impressive maybe even pretty boring or in other ways “not done”. Want to impress your attendees? Do you know the old saying “Your first impression is the last impression”? After all the work and stress while organizing, sending out all invitations and other e-mails warming-up the visitors, speakers, VIPs, exhibitors and staff the moment is there. You open the doors and people walk in. Here is you first and only change to make a good and everlasting first impression. 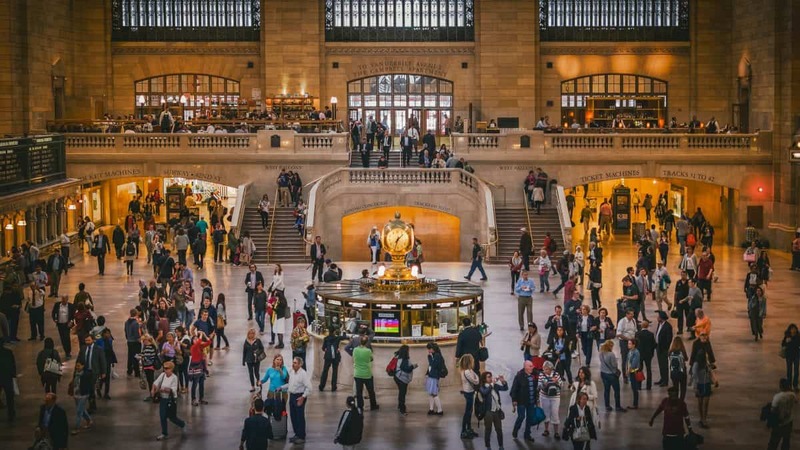 The first impression is the check-in and it could be a nightmare with long waiting lines and slow check-in system or could run as smooth as your planned it, but be honest did it ever worked out just as planned? Hardly ever does, does it? Running a smooth and quick entrance service with a good looking badge. Minimal waiting time and an impressive badge experience. That’s the way you want to be remembered by your attendees. How to get this done? Keep reading and find out how and why! When everybody is walking in you want them to experience a smooth and quick entrance to your event. In most cases lines build up while preparing or searching for the correct name badge. The alphabetic order of preproduced badges has many problems like incorrect spelling or misunderstood names, making the search hard. Not even speaking of unexpected attendees how need to walk around with a handwritten name badge. Can you imagine the embarrassment when Bill Gates is the unexpected visitor with a handwritten name badge. For larger events live thermal badge print service is often a good alternative, making these problems history. Placing a Dymo label on a preprinted badges is, in My opinion, horrible since it simply looks cheap and crappy and will certainly not impress you visitor. Preprinted thermal badges have their own challenges. For one, running out of the preprinted badges would be a nightmare so let’s order 20% extra resulting in a lot of wasted material and costs. Also the preprinted design elements and thermal printed parts don’t always line up like they should. The more budget thermal badges with just black and white badge should already be aging history. An event is about networking, meeting and sharing knowledge. But events these days are also about the event experience. And, if possible, an experience that all visitors will remember and talk about how impressive the event was, not how hard it was to get in. We all have an full-color office printer in the office these days, I mean how is still printing black and white in the office? But do you remember the time that all offices just had black and white printers? (damn, the idea that I know this makes me feel old). Maybe your office had one color laser printer and you needed to ask for approval to print in full-color. It was expensive, luxurious, special and only when absolutely needed you were allowed to print in full-color. Live badge printing is, years later, basically at the same stage. Carrying and transporting large copiers or office printers is difficult and printing badges with these printers is not very fast. This makes live printing of badges in full-color expensive and not the most desired option for event planners. But change is coming, or in fact is already taking place. 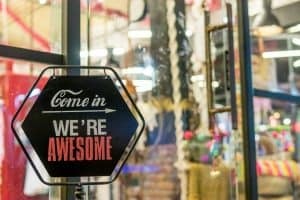 While the labeling industry is completely different and not even comparable to the event industry these industries have one thing in common, the printers. 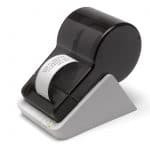 Badge printers are in most cases label printers from origin, and something is been changing in the labeling industry. 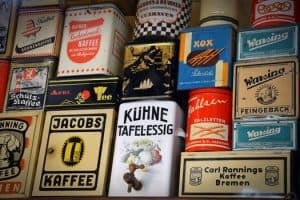 Producers, retailers and many others are more and more demanding product packaging with special labels in low quantities. 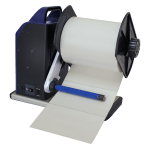 The higher demand for private labeling and products with labels that correspond with promotions, seasons and holidays resulted in a demand for a quick and affordable way to produce small quantities of labels in house. 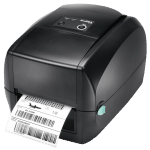 This resulted in the development of on demand label printing devices for full-color labels. 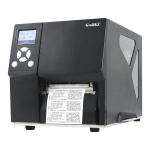 These full color label printers are developed by different brands in all kind of price levels, € 6.600,00 for a industrial on demand full color label printer is not exceptional. 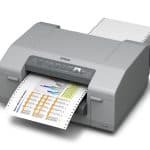 But don’t be shocked, a very reliable inkjet full-color label printer, like the Epson TM-C3500, can easily be bought for around € 1.300,00 still a lot more expensive than a thermal printer but it can also do so much more, so relatively speaking it’s a bargain. This change in the labeling industry also affects the event industry, changing the “old” thermal label printer with an full color label printer opens many doors and possibilities. Live full color badge printing is born, but watch out! 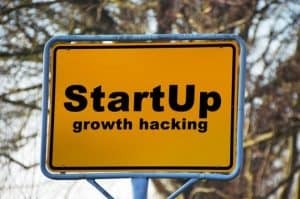 There are some things you should know before you start. 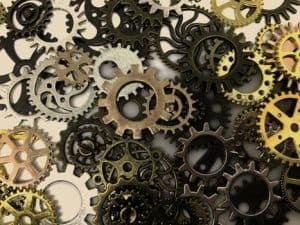 As with all new systems there are some things you should know before you start. Not all printers or materials are suitable for live full color badge printing. We have worked hard on getting the most out of the possibilities without losing sight on quality. Let me guide you with the basics. 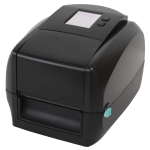 Which color badge printer to use and why? 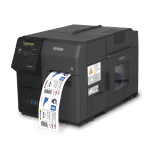 In our opinion the Epson technology is the most reliable for badge printing. 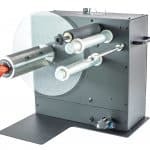 This opinion is based on facts like the reliability of the printer technology, quick drying and water resistant inks used by these printers and the relative low consumption of ink (based on cost per print). The result is an extremely reliable printer that prints water proof event badges in full-color in an affordable way. 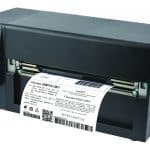 The Epson TM-C3500 inkjet label printer prints full-color badges within seconds so don’t worry about the time. 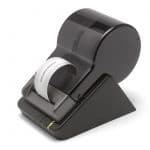 It’s just as fast as a regular thermal badge printer. Also the printhead of the Epson C3500 is a life time printhead instead of a printhead that need to be changed from time to time. This results in less maintenance after the events and a more reliable print result. The build in cutter is also a big advantage, it cut the badge after printing. This avoids the need to tear of the badge by pulling on the material that is still inside the printer. IMPORTANT REMARK! 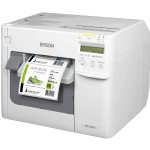 The result of to print out of any printer, especially with inkjet printers, always depends on the combination of material (or media) and the printer. Using media that is not suitable for the used printer will always result in undesired results. I will cover this part later, for now I handle points in the assumption that the correct media is being used. Inkjet printers work basically with 2 types of ink, Pigment ink or Dye based ink. In practice 2 small differences and 1 big difference can be noticed. The most important difference is the fact that a pigment based ink is resistant against water and, in case of the Epson ColorWorks pigment inks, it even holds well with most chemical fluids. Why is this important for badge printing? Simple, for live full color badge printing this is very important, especially when using Butterfly badges for double sided print. The almost immediate dry pigment ink results in good looking full color badges and will prevent dirty fingers and smudged badges when folding the printed badge. For a good result you need a good printer, that statement has been made. But using a good inkjet printer with just any media won’t do the trick. A media should be inkjet coated for the correct type of ink, even a inkjet coating developed for Dye based ink won’t always give you an optimal result with pigment inks and vice versa. Un coated materials (not developed for inkjet) can even result in defective printers as they can repel the ink. When it comes to badges there are even some more important demand when it comes to a material. Butterfly badges should fold easy and have a nice look and feel, should note be floppy but rather a bit stiff and last but not least should than have a correct inkjet coating to work in the best possible way with the ink of the used inkjet printer so it won’t smudge when folding and keep your fingers clean. 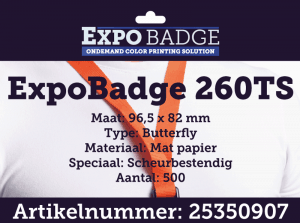 ExpoBadge 260 products where developed for pigment inkjet label printers with a main focus on the Epson inkjet technology. The basic materials come in 2 variations. First you have the “regular” thick paper based badges. Second is the “tear resistant” badge material. The tear resistant material is a bit more expensive and looks the same but is has a PET layer inside to prevent tearing. ExpoBadge materials have a mat look and finish, a glossy variant is not available. Why? Simple, a glossy finish has a higher density and there for accepts les ink, dries more slowly and is less water resistant. 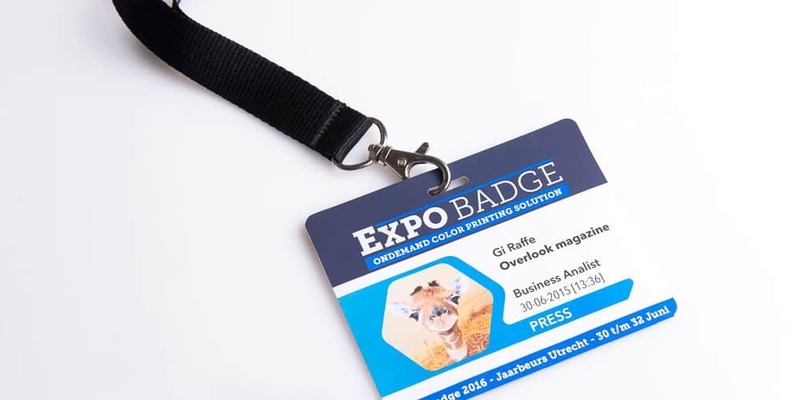 All ExpoBadge products are produced with a GAP between badges so the printer can easily detect beginning and end of the badge. An even more important benefit of this way of producing is the fact that the cutter of the badge printer doesn’t need to cut al the way through the thick paper of the badge material but just through the very thin backing. This ensures a longer lifespan of the badge printer. What badge size to use? So there we are, I hope I still have your attention and convinced you about the possibilities and opportunities that live full color badge printing solutions offer. Next step is designing your full-color badge. 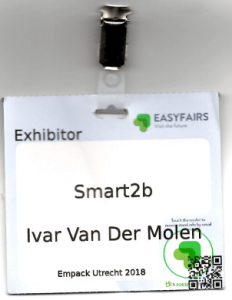 Designing the badges is in general the same as the preprinted badges but the live printing offers you also the possibility to play with colors for easy identification of visitor types, even adding visitor related adds is possible. You can read about this in a few of my earlier posts. Beside these size the badges can be custom made. Custom sized or shaped badges will result in higher prices, certainly when the quantity is not very high. Also available in some extra variation like with vouchers of with RFID (will come back on RFID later on). A larger badge size gives you enough space to add sponsored branding. In contrast, the smallest alternative credit card sized badges only gives space for simple name badges without any added info. More than just name and a little color for design would be too distracting. Finally the “S” sized badges (96,5 x 82 mm) gives you a bit of both. Not to large but it leaves some space to create a good looking badge. It gives just a bit more space for design and clear placement of name, last name and company. But in contrast to the larger badge it has not enough space to create a good name badge with sponsored branding or other designer elements. 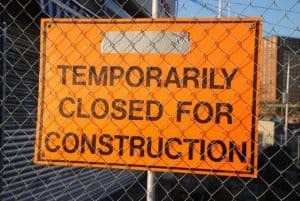 Keep it simple, too much info or over designing will only distract from the important information on the name badge. Choose a good font and size so the first name is large enough to read from a distance of about 2 meters. Last name can be in the second line and a bit smaller. For color coding attendee types use the bottom of the badge on both sides of the badge. This gives a clear location isn’t distracting and results in a nice soft folding color. Use white letters in a colored bar, it’s more clear than just colored letters. RFID in combination with live full-color badge printing is really next step but is already been done by a few pioneers. 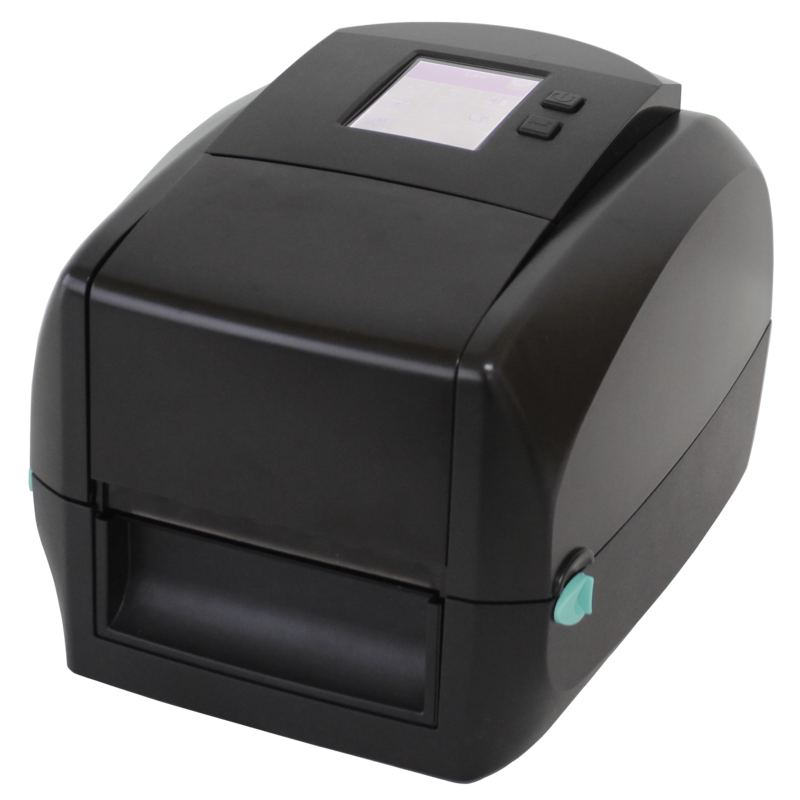 A good inkjet badge printer with build in RFID completabilities is not there yet (unless you want to spent 50% too much on ink with a Primera) so it’s a real custom build solution. 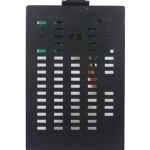 The ExpoBadge materials can be produced with endless types of RFID chips, the chips should be chosen based on what the RFID chip should achieve. Just adding the RFID chip in the badge and printing the badge won’t do the trick, the UID of the RFID chip in the printed badge still need to be linked to the corresponding visitor. At this moment this is mostly done by adding a separate RFID reading in front of the printer which reads out the RFID chip as the badge exits the front of the printer, the software that send the print job wait for the feedback of the reader and placing the UID in the database. This way the UID of the badge is linked to the visitor and his badge. For RFID badges we advise to always use a tear resistant badge materials. 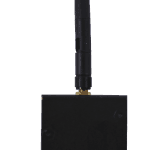 When a RFID is being used it often get pulled resulting in tearing of normal paper. Go for the green solution! 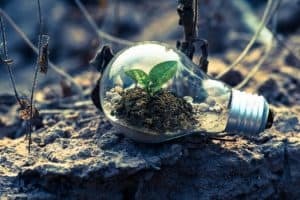 Just a small add on to this post, going green and thinking about environment. That’s very important these days. When you take all benefits of on demand full color badge printing and compare them to the current badge solutions, it much more green. Just thick about the waste of preprinted badges and the chemicals used in thermal materials. So the basics did not convince you yet? This fact may just give you the last push to join the ExpoBadging revolution. 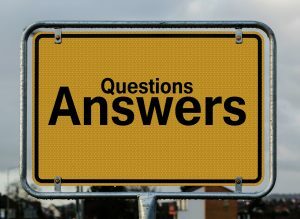 Only by asking questions you’ll get answers, only with the answers to your questions you’ll gain insight to those new and exciting things you could never imagined. 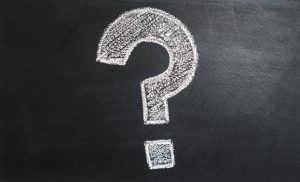 Asking questions the base of humanity and all our knowledge, so remember: The sky is not the limit, the only limit is when you stop asking questions. So feel free to comment and ask questions, we are ready to help. Event planning an managing is a tough enough job and you deserve a good night sleep en time for important things, let us worry about the details of the badges while you take care of impressing your attendees! Want to test and feel the ExpoBadges in real life? Just send us a request for samples and we will send you some preprinted or blanc samples for testing. 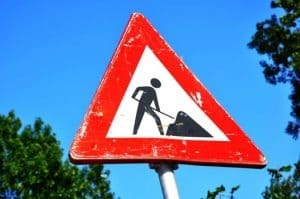 I’m sure you will get convinced of the quality and opportunities that this will offer you as a service. Smart2B is an GOLD-partner of Epson ColorWorks and not an Event organization or software company. 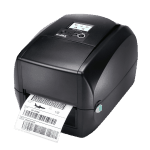 Smart2B concentrates on selling Epson ColorWorks inkjet label printers and needed print media such as ExpoBadge 260 products.